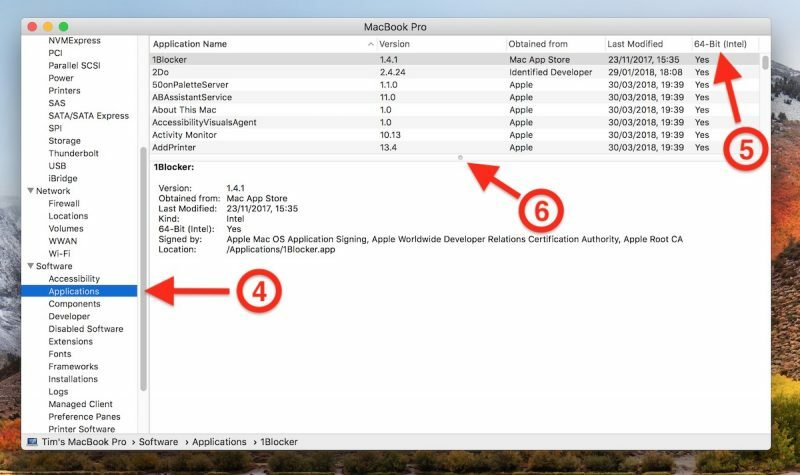 Apple has begun the process of phasing out 32-bit applications on Macs, which is why many users who upgraded to macOS 10.13.4 or later will have come across the following warning message the first time they launch certain older apps. This is the first of many warnings Apple plans to provide as it works to put an end to 32-bit apps on the Mac, as it did on iOS devices with the release of iOS 11. Apple has confirmed that macOS 10.14 Mojave, set for public release in the fall, will be the last version of macOS to allow 32-bit apps to run, but it will include more "aggressive" warnings about their use before they are phased out entirely. 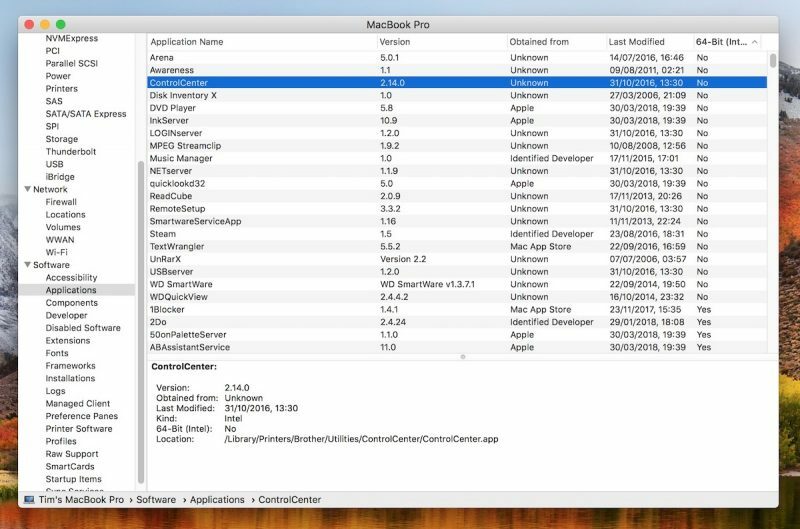 In this article, we'll show how you can quickly find out which apps installed on your Mac are 64-bit and which are still living in the 32-bit age. If you don't rely on apps that fall in the latter camp, you can safely uninstall them. However, if you're a frequent user of one of these apps, try contacting the developer to find out if a 64-bit version is in the works. If one isn't planned, try and find an alternative app with similar functionality before the time comes when it refuses to launch. Click the Apple symbol () in the menu bar on your Mac's desktop. 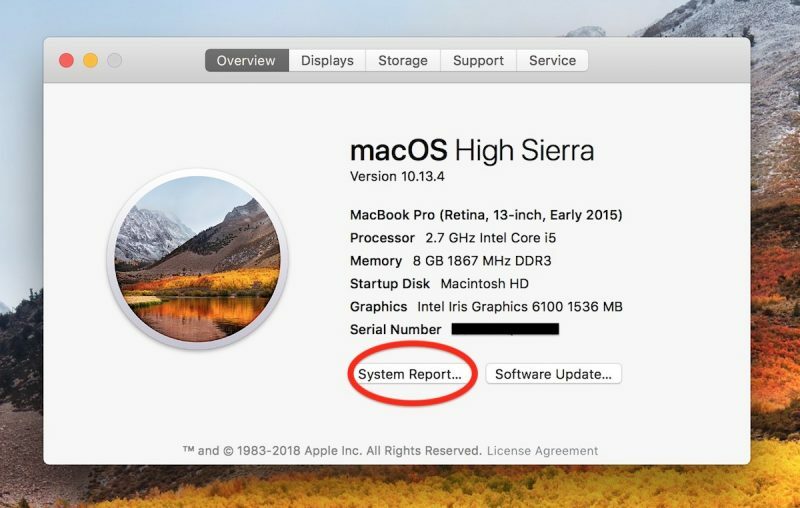 In the macOS Overview pane that appears, click the System Report... button. 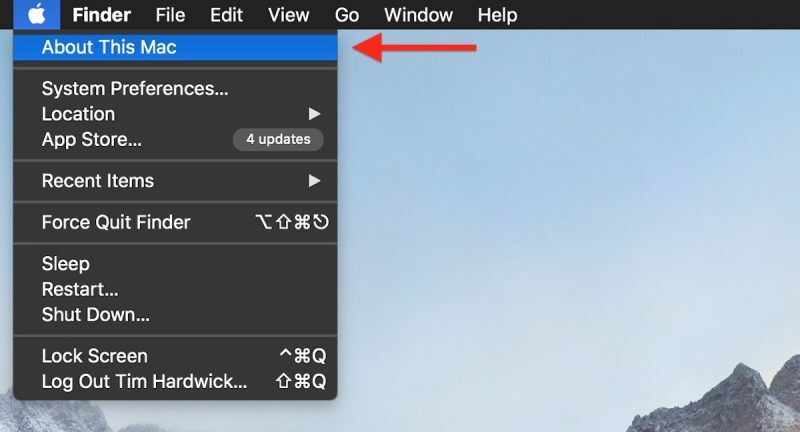 In the information window that appears, scroll down the left column and click Applications under the Software list, then wait a moment while your Mac generates a list of installed apps. When the list of apps appears, click the 64-Bit (Intel) label to bring any 32-bit apps to the top of the column. Drag down the divider using the center dot to expand the viewable list of apps. Anything in the list that has a "Yes" under the 64-Bit column is good to go, but there are several in our example listed as "No", which means they're 32-Bit and will stop working in a future version of macOS. Some popular apps in the above list, like Steam and Google Music Manager, will likely have 64-bit versions available in good time, but other items – old Brother printer drivers and utilities, for example – may not survive a forthcoming upgrade, and it could be a while before developers issue 64-bit versions of said software (assuming it's even still actively supported), so as our example shows, it pays to plan ahead. If your app isn't 64-bit by now, it means the developer abandoned it years ago. It'll be nice to be 64-bit only. Means slimming down application packages for some. Some of us still use those abandoned programs. Please don't generalize. I have MacOS applications that are updated on regular basis that are not 64 bit. The issue is that some of the GUI libraries (third party) are not 64 bit and will never be updated. This means a lot of work for the application developer and some will not be willing to make their current applications 64 bit (it's not worth it for them). Said by someone who is clearly not a developer. Not true. Adobe Acrobat 2017 is itself a 64-bit application, but several of the related Adobe executables that install with it (like the registration notifier and the updater) are 32-bit. And it's someone other than Adobe's fault that they've failed to update their apps as they should? If their related executables are still in 32-bit, it's clear they haven't cared enough to update them in years. Sounds like you need to be upset with the app's developer, not Apple. Do people really read entire ebooks on their computer? I can't imagine staring at my computer screen that long only reading text. 10 out of 10 times I'd read it on my Kindle instead of the app on my Mac. If you create Kindles, as I do, you want to be able to complete the process and then have a look at it on the same computer. I suppose I could ship it off to my iPad and examine it there, but a lot of Kindle (and generic e-book) creation is iterative. I'd have to have to add anything to my workflow. I've been a developer since the OS 7 days and helped to create some of the best known commercial utilities for Mac. Thanks though. Are you actually saying people are actively developing 32-bit products for Mac to this day? Steam, and any games I have installed are all 32-Bit. That seems like a big one for a lot of users.